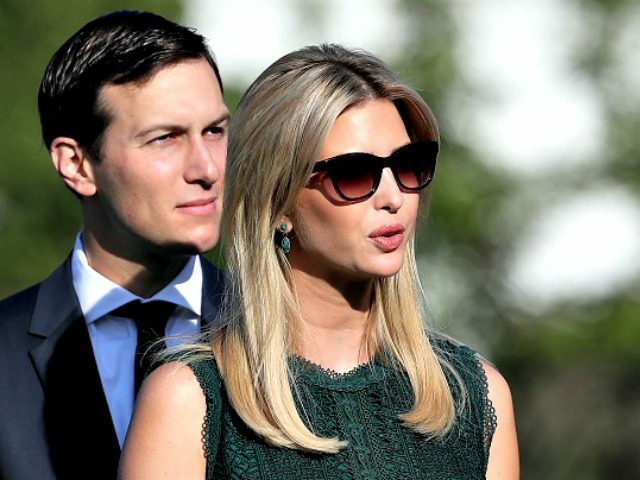 Hundreds of White House emails were reportedly sent to a third, and previously unknown, email account on White House Senior Advisor Jared Kushner and Ivanka Trump’s private domain — raising yet more questions about the couple’s use of private email for conducting White House business. The revelation is likely to fuel already existing questions over the use of private email within the Trump White House — particularly Jared Kushner’s. The New York Times reported last week that at least six current and former White House employees have used private email for White House business, at least occasionally. But Kushner is particularly in the spotlight after members of the Senate Intelligence Committee wrote to Kushner last week expressing their unhappiness that he did not disclose the existence of a private email account to them as part of their investigations into alleged Russian interference in the 2016 election. It is not illegal to use a private email address as long as those emails are subsequently forwarded to the White House address. However, the Times reported that Kushner’s case is unique in that he established his own domain, IJKFamily.com, in December to host his family’s personal email. The domain is hosted by GoDaddy on a server in Arizona. The Politico report suggests that such usage is more widespread, raising possible security questions. The report cites “a person familiar with the setup” as saying that “some” security measures were put in place. The White House is currently investigating the use of private email by White House officials, and the House Oversight Committee is also pushing for more information, asking for the names of any officials who have used private email, as well as encrypted message applications. “They’ve pretty much been using it since they got here,” a source said. A spokesperson for Ivanka Trump said that she has kept her personal life separate from work and that the necessary emails have been preserved on the White House system. “The extent of this coordination illustrates both full transparency and a desired separation between her work and personal functions,” the spokesperson said. The embryonic controversy is already attracting criticism from Democrats. Hillary Clinton, whose 2016 presidential ambitions were torpedoed in part due to her widespread use of a homebrew private server as secretary of state, called recent reports evidence of “rank hypocrisy” from the administration.